Democrat Vicente González, a McAllen attorney who has protected South Texans against dishonest insurance companies, and has fought to provide healthy school buildings for students, on Friday, November 20, 2015, announced his candidacy to succeed retiring Rep. Rubén Hinojosa, D-Mercedes, to represent the people of Texas’ 15th Congressional District. González, 48, said he has the proven skills, energy, and experience needed to successfully champion the best interests of residents from all walks-of-life. “My education and professional achievements in representing homeowners, school districts, consumers and clients in their legal and business affairs, along with my experiences as a small business owner, uniquely qualify me for the position of congressman,” González said. He founded the Law Office of V. González & Associates, P.C. in 1997. Since then, his primary focus in law has been fighting for what he calls “victims of dishonest corporations”. 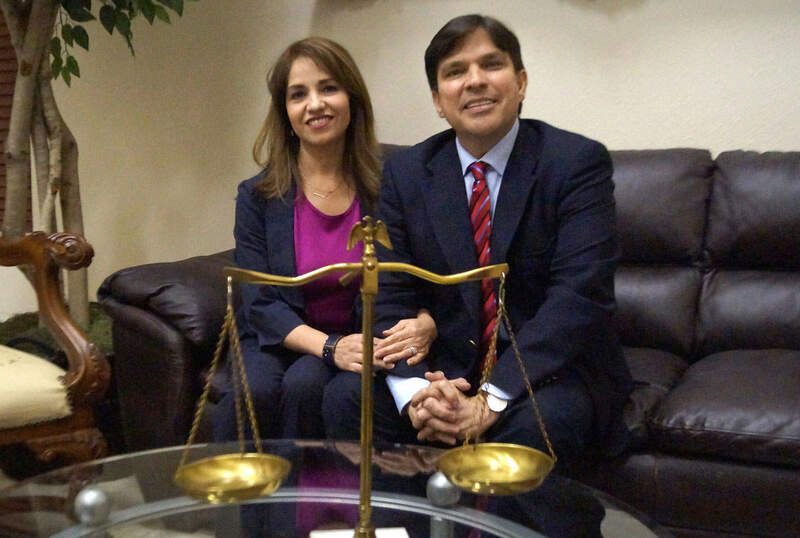 González’ law firm has led litigation against some of the largest corporations in the world, with his work resulting in tens of millions of dollars in successful recoveries for his clients in recent years. Texas’ 15th Congressional District, in which Hidalgo County has the largest population, stretches from McAllen and Edinburg northward to include Jim Hogg, Brooks, Duval, Live Oak, Karnes, Wilson and Guadalupe counties. An estimated 700,000 residents live in the congressional district. As congressman, González said he would effectively serve constituents because he is capable of bringing jobs, fostering a favorable business environment that will create good, high-paying jobs, increase higher education resources and opportunities, and bettering the quality of life. “Our campaign is about Texas families who work 40 hours a week every week and still can’t make ends meet. We need more jobs and more higher wage jobs in our region. I will work to reach those goals and more,” said González, who said he came “from very humble beginnings to achieve the American Dream. “I will tirelessly fight to protect U.S. programs that help the middle-class and the poor,” he promised. He emphasized his legislative efforts in Congress also would focus on helping women overcome obstacles in the workplace. He was joined by his wife, Lorena Sáenz González, in providing the media with highlights of his platform. Lorena Sáenz González, a McAllen native, also has deep ties to Edinburg, where she began her teaching career at Monte Cristo Elementary School, providing education to hundreds of students for five-and-a-half-years in the local school district. For the next five-and-a-half years, she was assistant principal at Castañeda Elementary School in McAllen, then was assistant principal for half-a-year at Bonham Elementary School, also in McAllen, before being selected principal of that campus, serving four years. She serves as partner for her husband’s professional and public service careers. Democrats and Republicans nationwide will hold their party primaries in early March 2016 to nominate their candidates for the November 2016 election, which will determine who will be the new congressman/congresswoman for District 15 beginning in January 2017. The term of a U.S. congressman is for two years. Retired Texans, who have given a lifetime of contributions to the United States, also will have a high priority in his congressional efforts, he added. “Our campaign is about the dignity of our most accomplished Americans – those who are 65 years and older – who we still depend on for guidance and wisdom, and who have truly earned the benefits and protections of our society, including Medicare and Medicaid coverage that is comprehensive and affordable, and an increase in Social Security payments that cover the real cost-of-living,” González pledged. “We also need to fight for our doctors and hospitals, especially making sure that federal laws and policies do not cost them so much financially and personally that they can’t afford to take care of their patients,” he added. He would continue building on the efforts of generations of American military veterans in Texas Congressional District 15 to bring a full-fledged Veterans Hospital to the region, and to improve the delivery of other benefits to area veterans. He also promised legislation “to our small businesses in getting more accessible loans at more competitive rates. The red tape now is just overbearing”, and said reducing the debt that college students too often face also would be a key issue for him in Congress. González made clear that “keeping a tight safe grip on our border, in a manner that continues the growth of our mutually beneficial trade with our neighbors to the south, is a priority to me,” but denounced plans by the Republican Party to deport more than 12 million undocumented immigrants in the U.S.
“We need to defend our region against un-American schemes by the Republicans to take away our constitutional rights, including their extremist positions to divide American families and deny citizenship to people born in our country,” said González. He added he would oppose any plans to increase federal income tax rates for 99 percent of all Americans, contending that the nation’s wealthiest families do not pay their fair share. González said Texas’ 15th Congressional District is becoming one of the most successful regions in the state in terms of economic development, public and higher education, transportation, and international commerce, and he will build on the area’s achievements as a U.S. representative. He is Licensed to Practice before the United States Supreme Court in Washington, DC. He is also a member of the prestigious Million Dollar Advocates Forum where fewer than 1% of lawyers are members. González was educated with student loans and part-time jobs. He received his Bachelor of Science Degree from the prestigious Embry Riddle Aeronautical University at the Corpus Christi Naval Air Station. After graduation, he attended present-day Texas A&M University School of Law in Dallas/Ft. Worth, where he earned his Juris Doctorate Degree. While in law school, he served as a congressional intern in Washington, D.C., and worked at a high-volume law firm in Dallas. After law school, González continued his training in Negotiation at Harvard University School of Law School. His law office has established itself as a premier boutique law firm in Texas with offices in New York City and clients across the nation. His firm has represented many business owners, including major hotel/motel chain operations, condominiums, apartment complexes, shopping strips, medical clinics and others. His law firm’s work has resulted in the recovery of tens of millions of dollars in proceeds that would have otherwise gone unpaid.